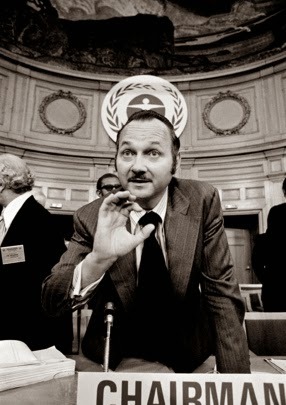 "If the world succeeds in making a transition to truly sustainable development, all of us will owe no small debt of gratitude to Maurice Strong, whose prescience and dynamic presence on the International stage have played a key role in convincing governments and grassroots alike to embrace the principle - if not yet the practice - of adopting a new, long-term, custodial approach to the global environment." 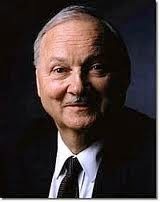 Tuesday April the 29th 2014 is Maurice Strong's 85th birthday. For more than half a century Maurice Strong, as much as anyone on the planet, has been the torchbearer for the cause of sustainable development – as visionary, humanist, teacher, businessman and diplomat, as well as champion global thought and action leader. His crowning achievement was to curate and manage the 1992 Rio Earth Summit which brought together more than 100 Heads of State to forge a landmark Agenda 21 based consensus, which changed the course of our planet and its people towards a better and brighter future. Alone this would have been a huge achievement but he also was in addition to being Secretary General to the first UN Conference on Environment in 1972 and the first Executive Director of United Nations Environment Programme. The video 'A Conversation with Maurice Strong' was created by Barbara Pyle and Frank Melli to show the measure of the man and the enduring, game-changing nature of his thinking, action and teaching. It is a must for any sustainable development advocate to watch and we hope a teaching aid for all courses on the subject. It has been released for his 85th birthday on April 29th with the support of Felix Dodds and Geoffrey Lipman on the launch of the Maurice Strong University Network, which will seek to carry his ideas to a global audience through the medium of Travel &amp; Tourism, which he has always recognized as a force for positive change. In 2011 and 2012 I had the pleasure with Michael Strauss and Maurice Strong on the book Only One Earth - The Long Road via Rio to Sustainable Development - a history of sustainable development at the global level over the last 40 years. In the runup to Rio+20 Maurice did warn us of the challenges we face we will know next year when the SDGs and the climate negotiations have finished if we are on the right path or not. “Indeed, it has never been more important to heed the evidence of science that time is running out on our ability to manage successfully our impacts on the Earth’s environmental, biodiversity, resource and life-support systems on which human life as we know it depend. We must rise above the lesser concerns that preempt our attention and respond to the reality that the future of human life on Earth depends on what we do, or fail to do in this generation. What we have come to accept as normal is not normal, as increased human numbers, the growing intensity of human impacts and the demographic dilemma faced by so many nations are returning the Earth to the conditions that have been normal for most of its existence that do not support human life as we know it. The Global Research Institute at the University of North Carolina have asked me to stay for another year this time as a Senior Fellow. Very excited about continuing the work on the Nexus. June will see the publishing of the NEW book - The Plain Language Guide to Rio+20 and the New Development Agenda written again with Jorge Laguna Celis and Liz Thompson it will help those already engaged in the follow up to Rio+20 and the development of the new development agenda. The book will be a Kindle download from a new publishing house New World Frontiers which will launch also in June. More on that next month. The front cover will again be done by John Charles the UK marvel artist. An interview with Felix Dodds in Forbes Magazine by Terry Waghorn. Discussing the backdrop to his most recent book, From Rio+20 to a New Development Agenda: Building a Bridge to a Sustainable Future, written with Elizabeth Thompson and Jorge Laguna-Celis, provides an insider look at the 2012 conference and how it came about during one of the worst economic crises to date. The book is a companion to Only One Earth: The Long Road via Rio+20 to Sustainable Development, authored with Michael Strauss and Maurice Strong, which tells the story of sustainable development at the global level over the last forty years. An interview with Felix Dodds on Global Connections Television by Bill Miller focusing on sustainable development, climate change and the new Sustainable Development Goals.